Died: 23rd August 1918; age 19; KiA. 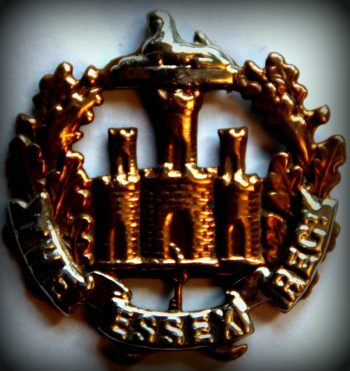 Regiment: Essex Regiment, 10th Battalion. 1901 Farm House, Grundisburgh, Suffolk. Charles was a year old and living with his grandparents, aunt & uncles. George Whatling, 61, an Agricultral labourer, born Horham, Suffolk. Harriet Whatling, 49, born Badingham, Suffolk. William George Whating, 26, an Agricultural Labourer, born Laxfield, Suffolk. James Isaac Whatling, 22, Horseman on Farm, born Denham, Suffolk. Ruth Ann Whatling, 17, born Denham. Arthur Lee Whatling, 15, an Agricultural Labourer, born Denham. Jubilee John Whatling, 13, a Stockman on Farm, born Parham, Suffolk. 1911 The Street, Grundisburgh, Suffolk. Charles was 11 years old and living with his grandfather & uncles. George, 71, a widow, Labourer on Farm. William, 38, a Labourer on Farm. Arthur, 25, a Labourer on Farm. Jubilee, 23, a Labourer on Farm. Charles’ grandmother died in 1910 & his grandfather in 1914. Charles’s father was Charles Henry Andrews, born 1867, Woodbridge, Suffolk. His mother was Julia Jane Andrews, born 1875, Middleton, Suffolk. Charles is also remembered on the war memorial at Grundisburgh, Suffolk. Have you got a photo of Charles William Andrews because itbelong my mother in law’s late uncle.